At ELEGANTE in Bielefeld, traditional craftsmanship creates a piece of textile quality of life. Every year, numerous exclusive designs are created in the company's own Creative Centre, which also pick up on international interior trends. We also offer the luxury bed linens of ELEGANTE in numerous designs. Whether gripping jersey or discreet shimmering satin – Elegante bedding is inspired by high-quality processed fabric qualities made of 100 percent cotton. This ensures that you will enjoy your bed linen for a long time. In the online shop we offer for example Elegante Sonnet in the designs aqua, sun and fuchsia, Elegante Quadro in bordeaux, marine, sand and silver, Elegante Farfalle in aqua-green, fuchsia or sun as well as elegant reverie in aqua, fuchsia or sun. 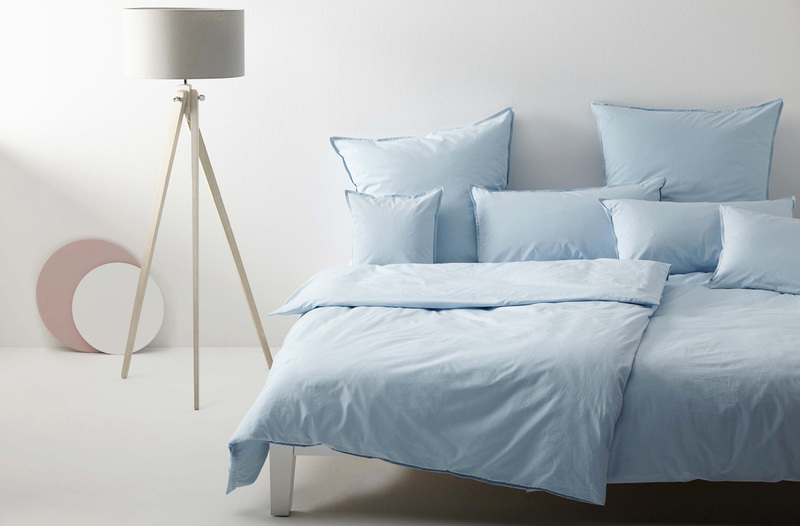 You can also order the Elegante bed linen in 200x220 centimeters and other sizes.